Have you noticed that crocheting plaid is becoming very popular? I have to admit, the color changes have always appeared daunting to me. However, I am not one to shy away from a challenge, and it’s a good thing, because I found out how simple it really is. Once you have a good idea of the color pattern and easy method in color changing, you will be able to breeze right through this project. Simple plaids, or gingham plaids, are worked in three different colors — a dark, mid, and light color. You will use the mid in each row, and alternate between the dark and the light in every other row. From there you just double crochet! 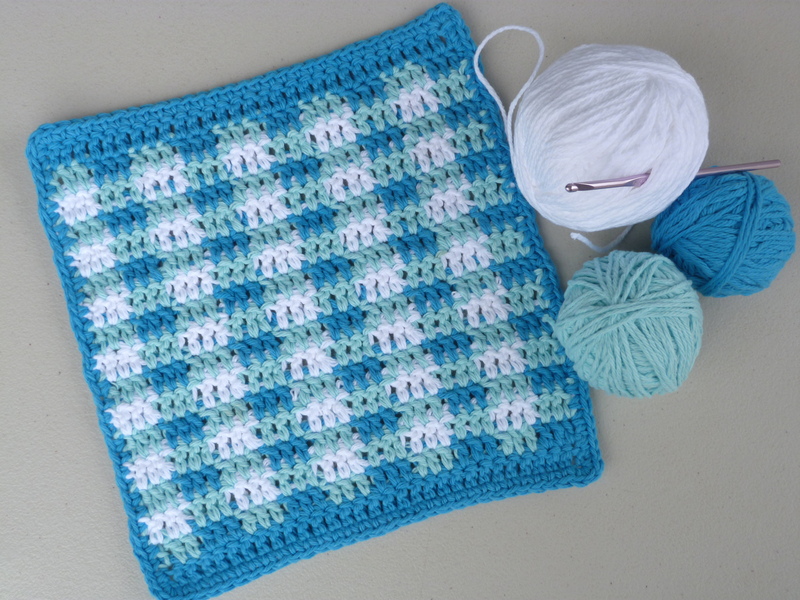 Prepare to impress with this complicated looking, but easy to do Frozen Plaid Dishcloth! – Carry colors through pattern, working over them, for easy color changes. 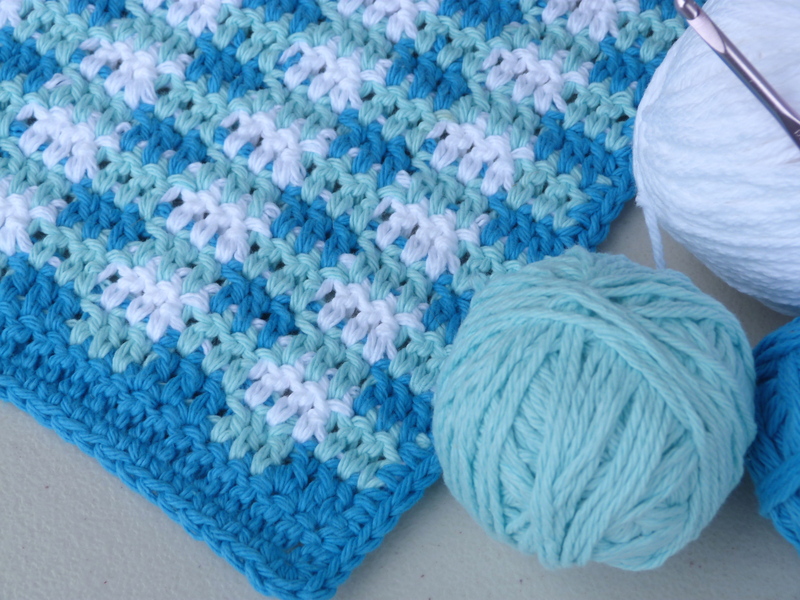 – This pattern is worked mostly in double crochet. For each new row, you will chain 2 instead of 3 and work your first double crochet in the first stitch. At the end of the row, work the last double crochet into the last double crochet, not chain-2. Single crochet evenly around, finish off. Let me know if you run into any problems, I will be happy to help! This entry was posted on Wednesday, November 22nd, 2017 at 12:00 AM by Amy	and is filed under Free Crochet Patterns. You can follow any responses to this entry through the RSS 2.0 feed. You can skip to the end and leave a response. Pinging is currently not allowed. I carry the colors along, crocheting over them, and then pick them up when I need them and drop the other color with the others. I join colors in the last yarn over of a double crochet. I got some great advice from Bethany at Whistle & Ivy https://www.whistleandivy.com/2017/08/how-to-crochet-buffalo-plaid-the-plaid-stitch.html. She has created a video showing how she handles color changes and keeps the different yarns from getting tangled. Hope this helps!